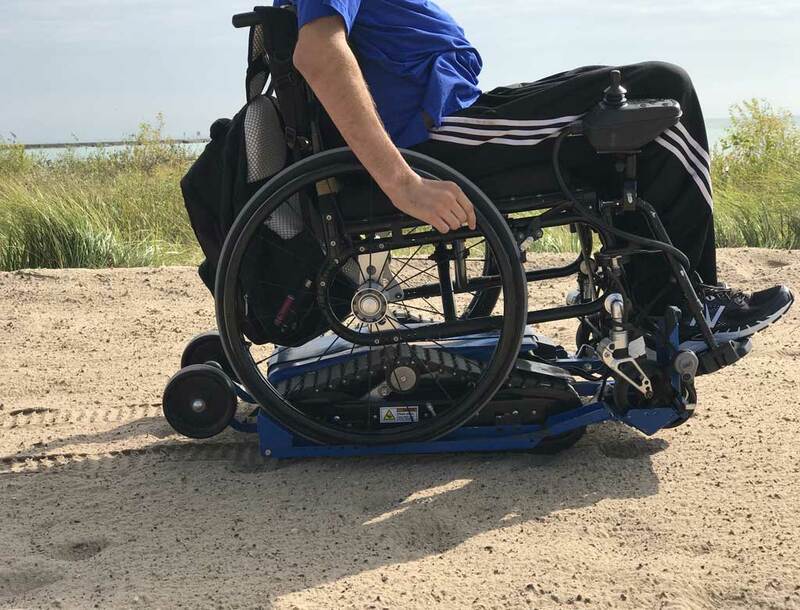 An all-terrain device to regain the pleasure of moving outside the stabilized paths with your wheelchair. 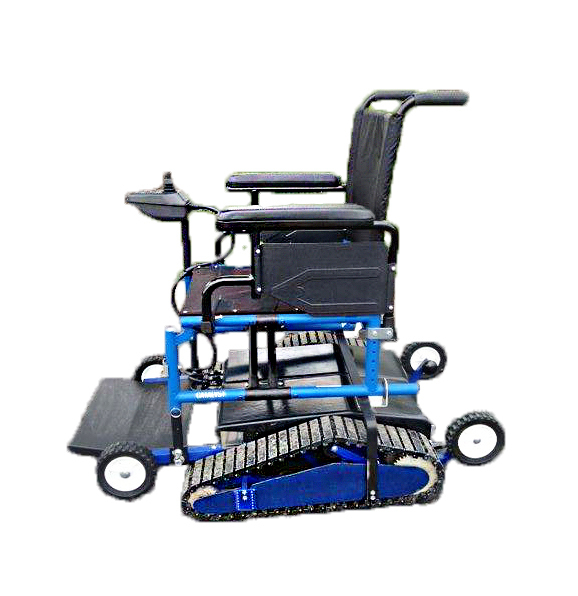 Simply transfer from your wheelchair (leaving it in the shelter) and find the pleasure of accessing any type of ground in total autonomy! 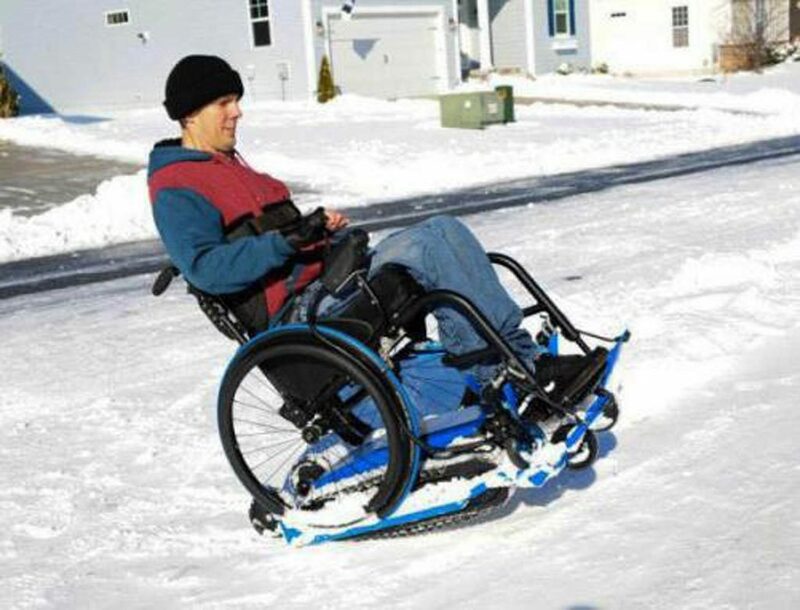 Sandy land, forest path, snow or gravel will no longer be an obstacle for you! 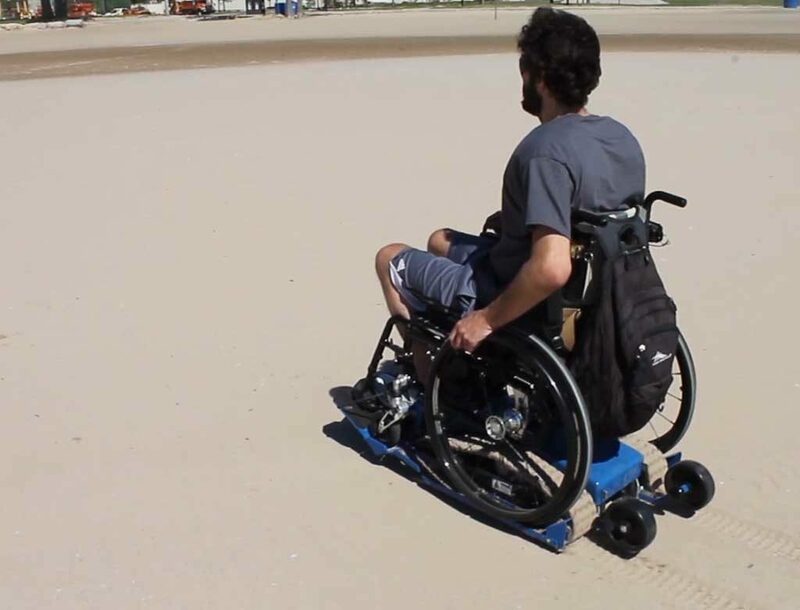 Practical and innovative, Freedom Trax allows access to non-stabilized locations ! Off-road trips, such as on snow, sand, mud or gravel, are now possible for your customers, effortlessly and independently!